Draft: 2010, Kansas City Royals, 9th rd. Full name is Whitley David Merrifield…resides in Advance, N.C...Graduated from David County High School in Mocksville, N.C., in 2007…batted .464 as a junior and .400 as a senior, earning all-state selections both years...Attended the University of South Carolina…hit .326 as a freshman to earn SEC All-Freshman honors in 2008… batted .340 during his sophomore season, playing in all 63 games...Helped lead the Gamecocks to the 2010 College World Series title…drove in the winning run with an 11thinning single to beat UCLA (2-1) in the championship game, the last CWS contest played at Rosenblatt Stadium...Batted .321 with 13 home runs and 42 RBI during his junior year (2010), taking honors as the Earnest Brooks Co-Male Athlete of the Year…finished his career sixth in school history with 263 hits and fifth with 197 runs... Mother, Kissy, was a five-time South Carolina state champion in tennis and played collegiately at Wake Forest University…father, Bill, was a two-time ACC Player of the Year at Wake Forest in baseball and played in the minor leagues...Competed in the Japanese Game Show Sports Danshi Grand Prix during the 2017 offseason…show included several athletes from other sports, including Olympic Gold Medal sprinter, Justin Gatlin...Participated in several community projects in 2018, including a Special Olympics Clinic and hosting Gold Star Families at Kauffman Stadium...also participated in Royals FanFest 2017-19. Made the Opening Day roster for the first time, and recorded career highs in games (158), runs (88), hits (192), doubles (43), walks (61), stolen bases (45), batting average (.304), on-base percentage (.367) and OPS (.806), all of which led the team…voted Les Milgram Player of the Year honors by the Kansas City chapter of the BBWAA...Named Royals finalist for the Hank Aaron Award... Became the third player since WWII to lead the Major Leagues in both hits (192) and steals (45), joining: Dee Gordon (2015) and Ichiro Suzuki (2001)…prior to 1945, the only others to do it were: Snuffy Stirnweiss (1944), Ty Cobb (1917, 1915, 1911, 1909), Benny Kauff (1914) and Honus Wagner (1908)...Was the third Royal to lead the Majors in hits, joining: Willie Wilson (club-record 230 hits in 1980) & George Brett (212 in 1979; 215 in 1976, tied with Pete Rose)...Became the second Royal to lead the Majors in steals, joining Willie Wilson (club-record 83 in 1979)... Became the first Royal to lead the American League in stolen base in consecutive seasons (34 in 2017)…his 45 steals in 2018 were most by a Royal since Johnny Damon (46) in 2000...Led the Majors with 28 steals following the All-Star break, one more than teammate Adalberto Mondesi...Had a career-high-tying three stolen bases twice: May 18 vs. the Yankees and May 6 vs. Detroit...Had a club-record 16 steals of third base (18 attempts), four more than the previous high set by Lorenzo Cain (12) in 2015…was the most in the American League since Rajai Davis (17) in 2012...Became the third Royal with at least 10 HR and 30 SB in consecutive seasons, joining: Carlos Beltrán (2001-03), Johnny Damon (1999-2000) and Amos Otis (1970-71, 1978-79)…he and Trea Turner are the only ones in the Majors to do it in each of the last two seasons...Ranked among American League leaders in: plate appearances (707, 2nd), at-bats (632, tied for 2nd), multi-hit games (54, tied for 4th), doubles (43, 6th), batting average (.304, 6th), times on base (259, 7th) and on-base percentage (.367, 8th)...Started in 157 of the Royals' 162 games, including starts at: second base (107), center field (27), designated hitter (10), right field (7), first base (5) and left field (1)…only two players started at least five games at more than five different positions: Niko Goodrum and Neil Walker (6 each)...Had a club-record four hits streaks of at least 12 games, most in the Majors: May 6-19 (12), June 27-July 10 (12), Aug. 12-23 (12) and Sept. 10-30 (20)...Ended the season on a career-high 20-game hit streak, in which he hit .318/.379/.482 (27-for-85)…was the longest streak in the Majors in 2018 and the longest by a Royal since Jose Guillen (21 from June 4-27, 2010)… was the longest to end a season in the Majors since Marco Scutaro ended 2012 with a 20-game hit streak....Became the seventh American League player (8th time) in the last 84 years (since 1935) to record a 40-double, 40-steal season, joining: José Altuve (2014), Brian Roberts (2007-08), Alfonso Soriano (2002), Johnny Damon (2000 with Kansas City), Roberto Alomar (1991) and Paul Molitor (1987)...Hit three leadoff HR: July 2 vs. Cleveland (Corey Kluber), Aug. 26 vs. Cleveland (Shane Bieber) and Sept. 10 vs. the White Sox (Lucas Giolito)…his six career leadoff HR are tied with Freddie Patek for fifth most in Royals history, trailing: Alex Gordon (14), David DeJesus (11), Willie Wilson (11) and Johnny Damon (10)...His 33 leadoff hits were tied with George Springer for fourth most in the Majors...Hit .357/.406/.538 (65-for-182) vs. left-handed pitchers, the fifth-best average in the Majors...Hit .398/.471/.579 (53-for-133) vs. American League East teams, the highest average and on-base percentage in the Majors (min. 100 at-bats)…his safely in 29 of 33 games vs. the AL East, including 16 multi-hit efforts...Had a career-high five hits on July 8 vs. Boston-four of which came vs. Rick Porcello-the first five-hit game by a Royal since Eric Hosmer on July 26, 2017 at Detroit, and the first ever five-hit game by a Royal as a second baseman...Hit his first career pinch-hit HR on Aug. 2 at the White Sox, a three-run shot off Xavier Cedeño that turned a 2-0 deficit into a 3-2 lead in the eighth inning…was the Royals' first pinch-hit HR since Aug. 18, 2014 at Minnesota (Erik Kratz)...Named Royals Player of the Month for August, after recording 39 hits, two shy of the Major League lead… his .358 average ranked third in the American League...Hit his first career walk-off HR on Sept. 1 vs. Baltimore, a two-run shot off Mychal Givens...Led the American League with 83 hits after the All-Star break for the second straight season (94 in 2017)...Had a career-high 22-game on-base streak from Aug. 10-Sept. 2, in which he hit .368/.429/.563 (32-for-87). Spent majority of the year with the Royals, playing in 145 games, which included 131 starts at second base and 12 in the outfield (eight in right, four in left)...served as the Royals' leadoff hitter in 115 games ... Topped totals from his rookie year in nearly every offensive category, batting .288 (169-for-587) with 32 doubles, six triples, 19 homers, 80 runs scored and 78 RBI ... Led the American League with 34 stolen bases, becoming the first Royal to lead the league in steals since Johnny Damon (46) in 2000…his stolen base total ranked fourth in the Majors, behind Dee Gordon (60), Billy Hamilton (59) and Trea Turner (46) ... Became the third Royals player (fourth occurrence) with 30+ doubles, 30+ steals and at least 19 home runs in a season, joining Carlos Beltran (2001, 2002) and Amos Otis (1978) ... Hit 18 of his home runs as a second baseman, the most by a KC second sacker not named Frank White, who went deep 22 times in 1985 and 1986 ... Tied for third in the American League in triples and tied for fourth in infield hits (23) ... Led the American League with 94 hits after the All-Star break…it marked the most second-half hits by a Royal since Billy Butler (102) and Alex Gordon (98) in 2012 ... Collected 65 RBI out of the leadoff spot, ranking fourth in the Majors, behind only Colorado's Charlie Blackmon (103), Minnesota's Brian Dozier (93) and Houston's George Springer (84)…hit .321/.362/.509 (36-for-112) with runners in scoring position ... Hit .317/.366/.506 (57-for-180) with 11 doubles, four triples, five homers and 27 RBI with two outs ... Hit .321/.344/.476 (27-for-84) in Interleague games…his 27 hits vs. NL foes were tied for eighth-most among AL players ... Had a 19-game hitting streak (May 13-June 4), which tied for the longest in the American League in 2017 with Jose Altuve…it was also the longest by a Royal since Alex Gordon also hit in 19-straight in 2011 ... Hit three leadoff home runs - July 4 at Seattle (Felix Hernandez), July 25 at Detroit (Michael Fulmer) and Aug. 24 vs. Colorado (German Marquez)…became the seventh Royal (10th occurrence) to hit three or more leadoff homers in a season and first since Alex Gordon (4) in 2013 ... Recorded his first multi-homer game on July 23 vs. the White Sox, hitting solo shots off Derek Holland and Dan Jennings… became the first Royals second baseman with a multi-homer game since Alberto Callaspo on April 18, 2010 (at Minnesota) and the first KC leadoff hitter (any position) with a multihomer affair since Lorenzo Cain on September 7, 2012 (at White Sox) ... Became the 12th Royal (16th time) to homer in both games of a doubleheader, August 6 vs. Seattle…he and Salvador Perez (May 21 at Minnesota) both accomplished this during the 2017 season ... Set a career-high with five RBI on Aug. 13 at Guaranteed Rate Field, the most by a Royals leadoff hitter since David DeJesus also drove in five runs on June 15, 2008 vs. Arizona ... Finished one step away from hitting for the cycle twice - May 29 vs. Detroit (double, triple, homer) and Aug. 13 at Chicago White Sox (single, triple, homer) ... Recorded a career-high three steals on July 2 vs. Minnesota, becoming the first Royal with three thefts in a game since Lorenzo Cain on June 20, 2015 vs. Boston. Played in 81 games, making 55 starts at second base, 11 in left field, three in right field, three at third base and one at first base…became the first Royal to start games at five different positions (none of them as the designated hitter) since Willie Bloomquist in 2010...Made his Major League debut on May 18 in the second game of a split doubleheader with the Red Sox and recorded his first career hit off David Price…had his contract selected on May 18, before being optioned to Omaha (AAA) on July 26…recalled on September 2...Among American League rookies who recorded at least 300 at-bats, tied for second in doubles (22), ranked third in batting average (.283) and on-base percentage (.323) and fourth in multi-hit games (27)...Set a Royals record by hitting safely in each of his first 11 starts…also hit in 30 of his first 35 games overall… since 2000, only two players have done better: Ichiro Suzuki (hit safely in 33 of his first 35 games in 2001 and David Dahl (hit safely in 32 of his first 35 games in 2016)...Recorded a hit in his first 18 career home games, the third-longest hitting streak at home to begin a career since 1913, trailing Rocco Baldelli (20 in 2003) and Albert Pujols (19 in 2001)...Had a hit and scored a run in 12 consecutive home games from May 27-June 18, matching Johnny Damon (2000) for the second-longest such streak in Royals history, trailing only Willie Wilson (16) in 1979...Batted .339 (39-for-115) over his first 27 games (May 18-June 18), 12th best in the American League during that span…hit just .189 (18-for-95) over his next 26 games (June 19-July 24)...Hit .351 (27-for-77) against left-handed pitching, third best in the AL (min. 80 plate appearances)...Batted .312 (59-for-189) in 49 games vs. AL Central foes…hit just .238 (29-for-122) outside of the division...Hit his first Major League home run on June 13 vs. Cleveland, and hit his second the next day, becoming the first Royals rookie to homer in back-to-back games since Mike Moustakas from September 16-17, 2011...Recorded a pair of hits and scored the winning run in the 11th inning on June 29 at St. Louis after entering as a pinch-hitter…became the first Royal with multiple hits in a game he didn't start since Jarrod Dyson on May 25, 2015 at Yankee Stadium...Led the Pacific Coast League in steals (16) prior to being selected on May 18. Spent the entire 2015 season with Omaha, appearing at every position except for pitcher and catcher ... In 2015, tied for fourth in the PCL in stolen bases (32) and ranked fifth in runs scored (83)…enjoyed an 18-game hitting streak (April 16-May 4), batting .370 (27-for-73) with five doubles, two triples and two homers. Named George Brett Hitter of the Year (organization's top offensive player) and Omaha Player of the Year in 2014 ... In 2014, tied for sixth among all minor leaguers with 41 doubles combined between Northwest Arkansas and Omaha ... Would have won the 2014 Pacific Coast League batting title (.340), but finished 65 at-bats shy of qualifying ... Hit safely in all 14 of Omaha's games during the 2014 postseason, hitting .386 (17-for-44) with two doubles, three homers and seven runs scored…that included going 4-for-4 with a double in Game 2 of the Championship Series at Reno. Wilmington Player of the Year...tied for seventh in the Carolina League in stolen bases with 25. Tied for fourth in the Carolina League in runs, 2011...tied for seventh in doubles, tied for ninth in at-bats and ranked 10th in hits. Selected in the ninth round of the 2010 June Free Agent Draft...Played 47 games for Burlington (A). April 18, 2017 Kansas City Royals recalled 2B Whit Merrifield from Omaha Storm Chasers. April 1, 2017 Kansas City Royals optioned 2B Whit Merrifield to Omaha Storm Chasers. September 2, 2016 Kansas City Royals recalled Whit Merrifield from Omaha Storm Chasers. July 26, 2016 Kansas City Royals optioned 2B Whit Merrifield to Omaha Storm Chasers. May 18, 2016 Kansas City Royals selected the contract of Whit Merrifield from Omaha Storm Chasers. 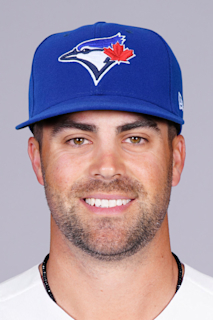 January 19, 2016 Kansas City Royals invited non-roster LF Whit Merrifield to spring training. January 26, 2015 Kansas City Royals invited non-roster 2B Whit Merrifield to spring training. October 20, 2014 Tomateros de Culiacan placed OF Whit Merrifield on the reserve list. October 10, 2014 OF Whit Merrifield assigned to Tomateros de Culiacan. June 6, 2014 Whit Merrifield assigned to Omaha Storm Chasers from Northwest Arkansas Naturals. May 31, 2014 Whit Merrifield roster status changed by Northwest Arkansas Naturals. March 10, 2014 OF Whit Merrifield assigned to Kansas City Royals. June 9, 2013 Northwest Arkansas Naturals activated IF Whit Merrifield from the 7-day disabled list. February 24, 2013 IF Whit Merrifield assigned to Kansas City Royals. August 7, 2012 2B Whit Merrifield assigned to Northwest Arkansas Naturals from Wilmington Blue Rocks. April 2, 2012 Whit Merrifield assigned to Wilmington Blue Rocks. March 29, 2012 OF Whit Merrifield assigned to Kansas City Royals. September 20, 2011 OF Whit Merrifield assigned to Omaha Storm Chasers from Wilmington Blue Rocks. April 4, 2011 Whit Merrifield assigned to Wilmington Blue Rocks from Kane County Cougars. July 16, 2010 OF Whit Merrifield assigned to Burlington Bees from Kansas City Royals. July 15, 2010 Kansas City Royals signed OF Whit Merrifield.